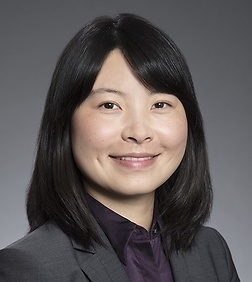 Dr. Lin is a patent agent in the Intellectual Property Practice Group in the firm's Palo Alto office. Dr. Lin assists attorneys in preparing and prosecuting U.S. and foreign patent applications in the technology areas including computer software and hardware, in particular search technology, content crawling, machine learning, deep linking, mobile software applications, and data storage, as well as semiconductors and mechanical devices. Dr. Lin received her Ph.D. in materials physics and M.S. in science communication from Iowa State University. Prior to joining Sheppard Mullin, Dr. Lin worked as an intellectual property engineer in a software company in Mountain View, CA.